« Babies at 3 weeks. 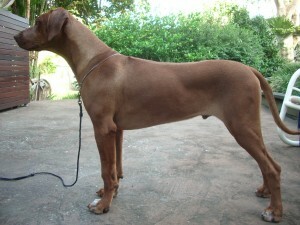 Jana is a male puppy from Ch Marmatia Jali Zahra and Kipsigis Tangaa. He is a laid back, loving livernose. He is sound in conformation, and with an outgoing happy nature.